Globe or Smart Prepaid WiFi: Which one is the best? I am searching and scouting for a good pocket wifi I could use during emergency and brown out. This past week or even in the past months they said that there might be a power shortage in the country which will result in rotational brownout across the country in the future. I wanted to make sure I could still stay online during those times. I can still remember the times when we are strike by storm Santi where we experience a longer power outage in the history and I need to travel an hour just to get connected and pass an overdue work. And I don’t want that to happen again. NTC or National Telecommunications Commission are requiring internet providers to block pornographic content and website in the country. Until now, I’m still searching for a good 7 inch tablet that can meet what I need for browsing and reading e-book, but not very expensive as iPad mini or Samsung tablet. Of course, it should be fast enough for Youtube and Facebook a common site that most of us been checking out. My son owns a China tablet but as I always see it, his tablet always hang while playing online so I guessed it’s not suited for me but for children it’s okay since you won’t regret this to be broken or lost while in their possession. Finally Nokia launch its much anticipated Android phone called Nokia X held at 2014 Mobile World Conference in Barcelona. 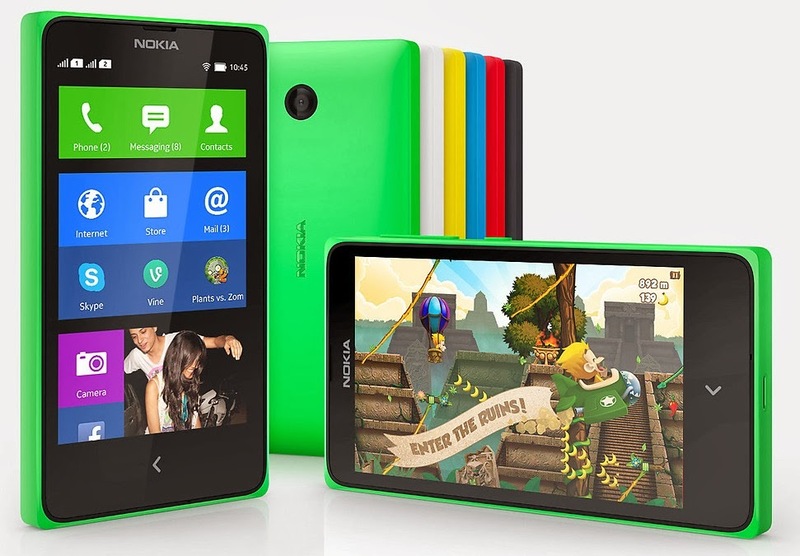 The Nokia X is packed with Android and design cues from Nokia’s Lumia’s Windows smartphones. It’s like having two interface platforms both from Android and Windows in one smartphone. At the center of the new UI is a swipe-based notifications and multitasker called Fastlane that allows fast access to the people, apps and information that are most important to you. Fastlane is a smoother and faster way to switch between your favorite apps, games and latest social activities. Samsung Galaxy S5 may look like its predecessor Samsung Galaxy S4, but it should not hold your mood down. It surprised many Samsung fanatics that Samsung S5 is made of plastic. Likewise, its dimple effect back panel is an additional feature to provide better grip. Copyright © 2012 Everything in Mobile. Theme images by Maliketh. Powered by Blogger.